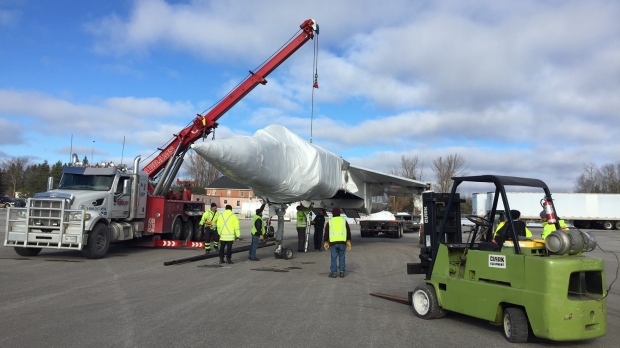 A full-scale replica of the Avro arrow made a landing east of Stayner early Tuesday morning. The hand-built exhibit was relocated from Pearson International Airport where it was temporarily stored to the Edenvale Aircraft Heritage Foundation at the Aerodrome on Highway 26. The exhibit was built in 1998 by engineers who worked on the actual Avro arrow in the 50s. It will now be housed in the Edenvale Aerodrome along with 20 containers of artifacts. The heritage foundation plans to open a Canadian aviation museum by summer 2019.